“BID” stands for Business Improvement District. The West Vernor & Springwells BID maintains, improves and enhances the shopping district to create a clean, comfortable and secure place for residents, customers and visitors to enjoy. A BID assessment is similar to a mall’s common area maintenance fee (CAM). The West Vernor & Springwells BID assessment is based on a property’s assessed value, and supports a variety of services in a collective, cost-effective and efficient manner on behalf of BID property owners. The property owners, through their elected Board of Directors, determine services and cost-effective investing of the funds to create visible change in the business district, while increasing sales and property values. BIDs have existed in the United States for more than 40 years. In some states it is referred to as a business improvement zone, special improvement district, special assessment district, or neighborhood improvement district. 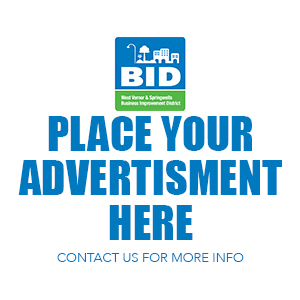 Generally, a BID is set up to provide supplemental services, improvements, and/or activities to strengthen traditional business and commercials districts. Services can be related to marketing, events, advertising, maintenance, promotions, streetscape improvements, beautification, safety, and tenant and developer recruitment. These services are in addition to those currently provided by the governing municipality. In winter 2001, the State of Michigan passed legislation to allow the creation of BIDs. The legislation became effective in spring 2002. At least 48 other states already have long-established BIDs, cities such as Milwaukee, New York City, Los Angeles, and Washington D.C. have dozens of BIDs covering not just their downtowns, but their neighborhood business strips as well. State of Michigan legislation allows the West Vernor business community to petition the City of Detroit to legally create a formal BID for West Vernor and Springwells. Until the business community meets the legal specifications for formalizing a West Vernor/Springwells BID, the Southwest Detroit Business Association (SDBA) is helping business and property owners by overseeing a Voluntary BID on three sections of West Vernor. The Vernor-Junction Voluntary BID starts at Morrell on the east and goes to Livernois on the west. The Vernor-Springwells Voluntary BID starts at Honorah on the east and goes to Mullane on the west. The Vernor-Lawndale BID starts at Ferris and goes to Cabot. Begun in 2000, this is the sixth year of implementing the Voluntary West Vernor BID. The legislation, and the West Vernor Voluntary BID, are based on a benefit assessment model. That is where business and property owners assess themselves a voluntary fee based on an agreed upon percentage of their property’s assessed value.